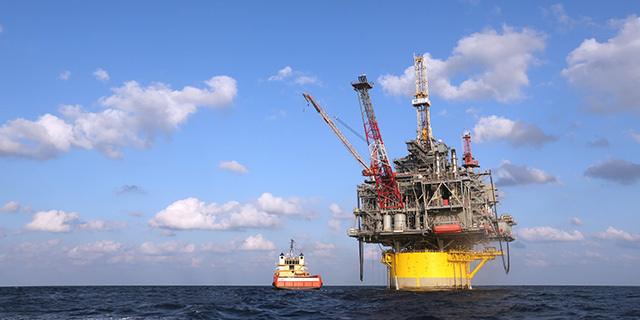 More Americans now oppose (51%) than favor (42%) allowing more offshore oil and gas drilling in U.S. waters, according to a Pew Research Center survey conducted in mid-January. The share of Americans who favor expanded offshore oil and gas drilling has declined 10 percentage points since 2014. Attitudes about expanded offshore oil and gas drilling are divided by age and party, as well as by where people live. People who live within 25 miles of a coastline are less supportive of offshore drilling than are those who live farther from a coast. Republicans and Republican-leaning independents are overwhelmingly in favor of expanding offshore drilling for oil and gas. Seven-in-ten say they favor allowing more drilling, and only a quarter say they oppose it, according to the survey of 1,503 adults conducted Jan. 10-15. Democrats and Democratic leaners show the opposite pattern. Only 22% of Democrats favor allowing more offshore drilling and 71% oppose it. Among Democrats, whites are stronger in their opposition than blacks and Hispanics (77% of white Democrats oppose expanded drilling, compared with 57% of black Democrats and 65% of Hispanic Democrats). Regardless of partisan affiliation, younger people are more opposed to offshore drilling than are older people. About six-in-ten (58%) of those ages 18 to 49 oppose allowing more drilling off the nation’s coasts – 16 percentage points more than those 50 or older (42%). Overall, Americans who live close to a coastline are less supportive of expanding offshore drilling than those who live farther from a coast. Only about a third (34%) of those who live within 25 miles of a coastline favor allowing more offshore oil and gas drilling, while 56% are opposed. Opinion is more divided among those who live more inland: Among Americans who live 300 or more miles from a coast, 46% favor expanded drilling, while 50% oppose it. These attitudinal differences reflect differences in the partisan composition of those who live nearer and farther from a coast. Among those who live within 25 miles of a coastline, Democrats and Democratic leaners outnumber Republicans and Republican leaners by nearly two-t0-one (59% to 30%). Among Americans who live 300 or more miles from the coast, the partisan balance is about even (45% identify as Republicans or Republican leaners and 46% identify as Democrats or Democratic leaners).